It is not always cost effective or always necessary to provide onsite physiotherapy services to tackle musculoskeletal issues, particularly with businesses that have multiple sites and employees spread over a wide geographical area , so what are the options? Either rely on the local NHS provision or proactively manage the issue. The first step in proactive management is to assess the needs of the injured / absent employee in a consistent, quality controlled way. This can be performed via a Telephone Clinical assessment (TCA)and triage service. Evidence indicates that the early management of musculoskeletal symptoms leads to a quicker recovery and can prevent absence or reduce the length of any absences. Telephone consultations can offer a safe, quick solution to most musculoskeletal conditions, allowing physiotherapy to be accessed at the time when it is likely to have the greatest impact on the employee’s recovery. 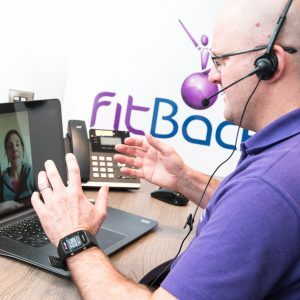 Telephone consultations are becoming an increasingly popular and cost effective method of improving employee access to early physiotherapy intervention, particularly so in the areas of a business that have large numbers of employees spread over multiple sites. This is an alternative model to the onsite, face to face physiotherapy service delivery. Through our highly experienced in house team of physiotherapists, we will carry out a full consultation with the employee and offer advice and self-management specific to the individual. This may also include work related advice if appropriate, and provision of written and/or emailed video exercise programmes and advice where indicated. Why use Telephone Clinical Assessments? Employees receive appropriate and expert advice early on. NICE indicates that many common musculoskeletal symptoms can be effectively managed by self-help models and advice and may not always require face to face physiotherapy. Telephone assessments can provide a flexible, practical and cost effective solution by reducing time away from work and improving accessibility. This model can be used as a management tool to deliver assessment, advice and exercises where appropriate, and can be also used to triage those employees requiring a face to face physiotherapy consultation. Employees can be referred onto our network of 2,000 Physiotherapy providers across the UK for face to face treatment if required. Face to face treatment delivery is cost and quality controlled along pre-determined service level agreements ensuring a consistent quality of care for staff. A report detailing any work specific advice can be provided to the employer following the consultation. This keeps everyone in the picture and allows the planning of workloads. The highly advanced management system enables FitBack to highlight trends/ hotspots of injuries in certain areas of the working environment. This then allows us to make recommendations to reduce their incidence. This may be through face to face interventions or carrying out risk assessments. This service may be provided in addition to our on-site face to face physiotherapy services which are being successfully run across the UK.